The 21st century began with prosperity. The world had mostly recovered from the hardships, wars and atrocities it endured in the 20th century. There was relative peace in the world, tensions from the past was buried with trade and technology. The world was moving towards a united front under the banner of science. Of course the world was far form being perfect, but the living standards for the average human kept improving steadily. Efforts were constantly made to tackle the biggest issues humanity was facing. The process was only beginning, but the future seemed kind and warm towards humanity as a whole. Strife, war and misery seemed more and more like a thing of the past. However, this course towards a united humanity was irreversibly altered, as events no one could foresee, began unfolding. A turning point in history had been passed without anyone even realizing. The first children with quirks had been born. Exactly where the phenomenon cropped up first is unknown, and it wouldn't be till much later, in 2041, that the world became aware of the shift in paradigm. A young man in the states, aged in his early twenties, had a strange mutation. His hands could glow, radiating both light and heat without actually harming him. The story became an instant sensation. People all over the globe reacted to the strange phenomenon. Some were afraid, others curious, while many more dismissed it all as a hoax. Scientists of all fields of study, from medicine to physics came to examine the man. Puzzled, confused, there was clear signs of structural differences in the DNA, but nothing that unveiled the mystery of the mutation. Before the world had a chance to understand what was happened, more similar cases began to spring up all over the world. It became apparent very quickly that the young man wasn't an isolated case and that the matter couldn't be ignored. The world was introduced to the first quirks, and they were appearing everywhere. As more of these strange individuals appeared across the world, the public began to stir. There were incidents where individuals were granted powerful quirks without the control to manage them, harming others and even themselves. The public opinion was clear; Quirks were dangerous. No longer did people just talk and share their opinions about quirks at work or online, they took to the streets. Several of the highly involved were organizing protests, sometimes even riots, for the government to take a stance. The first wave of quirk users weren't numerous and most made for easy targets. Others had quirks that allowed them to retaliate - and some did, giving quirk wielders a poor reputation immediately. Even if the "Quirkers", as they were referred to, had some defenders and support among the masses, those were just as rare to find as the Quirkers themselves. The most common victims were those who had undergone a physical change due to their quirk. Their altered appearance not only made them look particularly uncanny to the public, but it also made them easily identifiable. These individuals faced both harassment and abuse on an almost daily basis. Even when not facing discrimination or violence at the hands of the public, quirk users in the best case scenario still found themselves on some type of government watch-list. Rumors even had it, that several Quirkers were abducted from their homes across the globe, used for research into the phenomenon. It seemed like they were to be monitored for the rest of their lives. Given the initial low number of quirks that appeared most countries did not take any action on a larger scale. There didn't seem to be a need, quirk users were few and far between and all incidents were swiftly taken care of, swept under the rugs. Although somewhat unsettling, quirks didn't appear to be a huge threat to public safety at first. Governments dealt with each quirk user on a case by case basis, even if the fate of most was a similar one; Isolation. As the years went on however, a change in the dynamic of quirks made itself evident. Not only did the number of quirks users who were born each year increase drastically, the age at which quirks became active shifted as well. Individuals were younger and younger when their quirks manifested. By the year 2053, it was estimated that half of the world's youth were Quirkers, and almost all quirks manifested during early childhood, before or around the age of four. Treating quirks like singular phenomena became impossible, something had to change on a grand scale. Countries took swift action, and at the first sign of unrest laws were passed which entirely prohibited the use of quirks. While it was an inelegant solution, society at large was satisfied. Those individuals who could not, or refused to control their quirks, were isolated, while a vast majority of individuals could live a normal life. Harassment of mutations was dwindling, as most now had family members with quirks. However, inelegant solutions were not to last. Not only did several people use quirks despite the prohibition, but many used them to commit mundane crimes with them as well, seeing themselves as superior. Quirk assisted crimes quickly became rampant, and only five years after the initial ban on quirks, they were the most common type of crime in most countries, easily overshadowing armed robberies. Villains had appeared and soon became a part of everyday life. Once that threshold was passed, it became undeniable that police was incapable of handling the new type of criminals society was faced with. When the old tools were incapable of resolving a situation, the quirk users undeniably held the upper hand. From the source of the problem, Quirkers, the solution came. 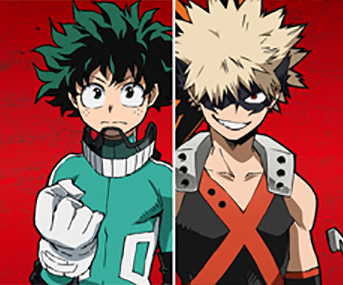 Quirk users, who were unable to stand by and watch as society was tormented by the menace of villains, took it upon themselves to make a change. Using their own quirks, they began combating villains. As more joined the cause, a noticeable drop in crime-rates became apparent almost overnight. Vigilantes were born, and it was undeniable that the world was better for it. There were more fighting for a good cause, than there were those causing trouble. Most countries realized just that, and by the year 2071 they began hiring vigilantes, offering them a pardon for their past deeds and an opportunity to work together with the government and police in order to combat villainy. The results showed themselves to be positive enough that countries quickly began expanding the program. Soon, talks began about establishing a Hero program and opening the first Hero schools in Japan. Copying the system, most of the world followed suit. The first prisons specifically constructed to contain quirk users were built almost at the same time. Shortly after regulations on non-criminal quirk usage eased up as well. Quirks had become a normal part of society. Now, in 2072, the first hero schools are fully operational, including the first of them - Yuuei. 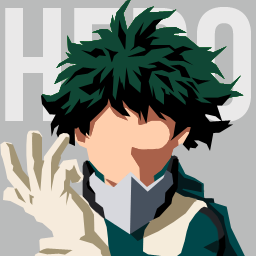 Quirks have been accepted as a part of society and he world seems ready to continue its progress: now with heroes, villains and vigilantes as an integral part of it. Unfortunately, technology had come to an almost standstill in the meantime. Will the world move towards a peaceful future, or will this paradigm be the beginning of the end? Today, the building of the first hero schools has come to fruition. The schools are funded mostly by the government and private sponsors, meaning their funding is limited. Yuuei, being one of them, has great locales, plenty of space, but the training equipment is mildly underwhelming. The first professional quirk users are being educated. However, society as a whole is in a state of flux. The older generation especially, came from a world where quirks were rare - or for the oldest generation, hardly existed. Racism and intolerance towards quirks most definitely still exists. Law-wise, this kind of racism is not outlawed. While it is becoming more and more rare, there are still extremists that would rather see individuals with quirks dead, rather than protecting or terrorising society as a whole. Note: Until the current IC year there were no 'Pro Heroes'. Vigilantes have to undergo a governmental competency exam to earn their title and become the worlds first official Heroes. Prior to this, there were just Vigilantes and Villains. Only vigilantes specifically handpicked by the government were given this priviledge.